Computer General Knowledge Quiz for SSC Online Exam Questions Paper with Answer key: Computer Awareness and Bank Awareness Quiz for all Bank PO Exam, Computer Awareness Practices Online MCQs for all SSC Exam, Railway Exam Paper, Online Gk Test Quizzes, CGPSC/ PCS Paper Questions and Answers Quizzes, SSC Exam Model Answer Key. Que (1): Which one of the following is an “Impact Printer“ ? Que (2): In which of the following “Medical Cxamination, Computer or Computer Peripheral“ is used ? Que (4): Which of the following devices is a type of printer ? Que (6): Which of the following is not used to connect to the Internet ? Que (9): Which of the following requires Internet Connectivity for access ? Que (10): Which one of the following is not an “Input Device“ ? Que (11): The tool which helps us to find information on internet is called ? Que (12): To start a slide show using “MS Power Point” _________ key should be pressed. 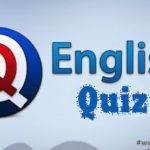 Que (13): What was “AttaVista [अट्टा-विस्टा]” ? Que (14): Which of the following “Operating System” software is used to start a “Computer System” ? Que (15): Which of the following is a “Primary Memory“ ?